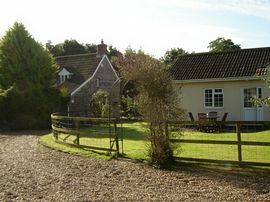 Sleepy Hollow cottages are set deep in the heart of Somerset in Barton St David in a delightful, tranquil rural setting. All cottages have wifi access from a shared hub (subject to availability and compatability of your equipment). Flat screen TV's with DVD player. Many of our guests return year after year. 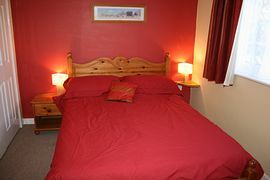 All cottages have been recently re-fitted with new kitchens and bathrooms. Cot, high chair and baby bath available on request. Nap cottage - sleeps 2, is a two storey annex adjoining the main house and has a separate kitchen with dishwasher, fridge with freezer, electric fan oven and hob. 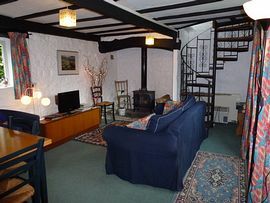 The lounge is really cosy and has a log burning stove and a pretty spiral stairs to the first floor, with double bedroom and separate bathroom with shower and bath. There is an additional sofa bed in the lounge. Nap opens onto the front lawn with its own garden furniture. Leep cottage - sleeps up to 4, is single storey and has one double room and a bunk bedded room, suitable for one adult or two children. The kitchen lounge-diner opens onto the cottage lawn overlooking the back garden. 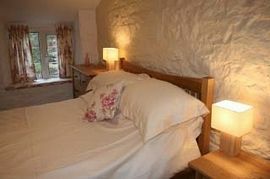 Nooze cottage also sleeps 2, with an additional sofa bed. The double bedroom has an en-suite bathroom and the lounge/kitchen/diner opens via patio doors to the outside seating area, with garden furniture over looking the front lawn. Set in two acres of beautiful garden with table tennis in the stables and croquet on the lawn in summer, it is very easy to relax here at Sleepy Hollow. Walking and cycling are excellent, although the hail and stop bus service is available within 100 metres. There are many places of interest within a short distance, including several National trust properties, Exmoor, The Jurassic coast, the mysteries of Glastonbury, the Georgian splendour of Bath, the cathedral city of Wells, the Bath and West showground, with its varied programme of events, the Fleet Air Arm museum, Haynes motor musem, the biodiverse habitats of the reserves at Westhay and Shapwick and many more. Tranquil rural location in a beautiful setting. 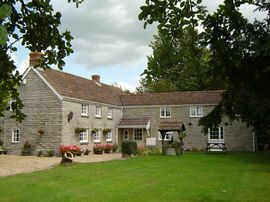 Close to National Trust sites and other varied attractions. Bed linen, tea towels and bath and hand towels. Well behaved dogs by arrangement. Quiet lanes and large gardens for exercise. Paddock if no sheep grazing. Local Services: Clark's shopping village at Street. Major supermarkets within four miles. Village store - 1 mile. Barton St. David is 15 miles east of the M5 motorway at Junction 23 and 2 miles west of the A37 at Lydford. From the A37 proceed 1 mile west on the B3153 to Keinton Mandeville. On entering the village take the first right signposted to Baltonsborough and West Pennard. After 1 mile at the T junction turn left. Continue for half a mile then at a sharp left-hand bend, marked by road chevrons, turn right into Double Gates Drove (not named but marked as a No Through Road). Sleepy Hollow is the last property on the right, with solar panels on the car port. Entrance to the gravelled parking area is through the second gate, which is beyond the cottages displaying the Enjoy England logo. From: £250.00 minimum to £450.00 depending on cottage and season. Weekly bookings during the summer season, but short stay lets by arrangement throughout the rest of the year.